In the bestselling tradition of Hillbilly Elegy comes an exploration of the American heartland—a fascinating and eye-opening collection of interviews and stories about the powerful grassroots populist movement of frustrated Americans left behind by the government that changed the landscape of political campaigns forever. Political writer and official RNC spokesperson Kayleigh McEnany spent months traveling throughout the United States conducting interviews with Americans, whose powerful and moving stories were forgotten or intentionally ignored by our leaders. Through candid, one-on-one conversations, they discussed their deeply personal stories and the issues that are most important to them, such as illegal immigration, safety from terrorist attacks, and religious freedom. The New American Revolution chronicles both the losses of these grassroots voters, as well as their ultimate victory in November 2016. Kayleigh also includes interviews with key figures within President Trump’s administration—including Ivanka Trump, Secretary Ben Carson, Jared Kushner, and many more—and their experiences on the road leading up to President Trump’s historic win. Kayleigh’s journey takes her from a family cabin in Ohio to the empty factories in Flint, Michigan, from sunny Florida to a Texas BBQ joint—and, of course, ends up at the White House. The collective grievance of the American electorate reveals a deep divide between leaders and citizens. During a time of stark political division, Kayleigh discovers a personal unity and common thread of humanity that binds us nevertheless. Through faith in God and unimaginable strength, these forgotten men and women have overcome, even when their leaders turned their heads. 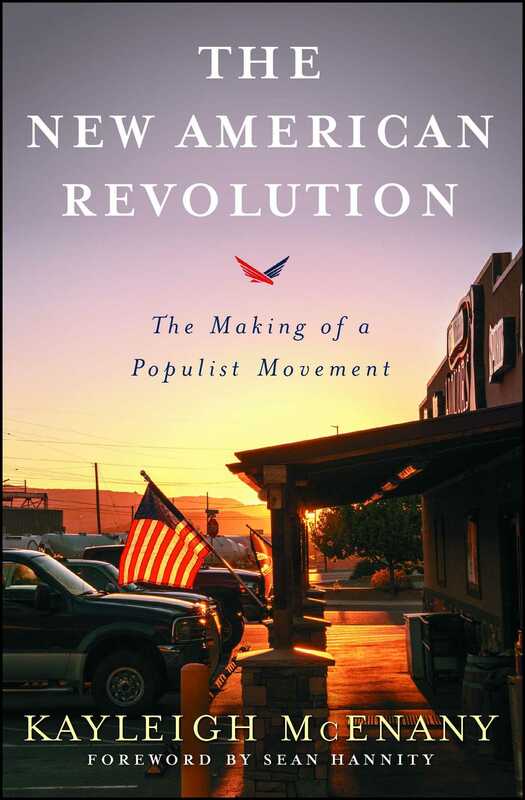 The New American Revolution is an insightful book about the triumph of this powerful movement and a potent testament to the importance of their voice. Kayleigh McEnany is the National Press Secretary for President Trump’s 2020 Campaign. She formerly served as the national spokesperson for the RNC and prior to that worked at CNN as a political commentator. She graduated from Harvard Law School with a Juris Doctor and Georgetown University School of Foreign Service with a degree in International Politics. She also studied politics and international relations at Oxford University, St. Edmund Hall. As a CNN commentator, Kayleigh appeared nightly on CNN’s primetime shows and throughout its 2016 Election programming. Before joining CNN, Kayleigh appeared on ABC’s The View and was regularly featured on various Fox News and Fox Business programs. In addition to her television work, Kayleigh served as a contributor to The Hill and wrote a column for Above the Law. The New American Revolution is her first book.